Do you like smelling great? We sure do. A great cologne is an essential item for a well-groomed man. But do not worry if you don’t have your go-to cologne just yet! We are going to take some deep dives into reviewing cologne options for you (and we have already highlighted one awesome, though expensive, option). Before we review actual cologne options, we figured it would be helpful to give you all the tools you need in analyzing your options. Here are the five key things you must know. You MUST test the cologne on your own skin before you buy a full bottle. Why? Because the fragrance’s interaction with your personal skin can literally change the way the cologne smells! Yes, you read that right. So even if you analyze and love the cologne using steps 2-4, it is still incredibly important to make sure that you still love it after you apply it to your skin. Remember this rule before all else! It’s #1 for a reason. 2. Learn the Notes & No One-Night Stands! Perfumers – the dudes and gals that create fragrances – have their own language when describing how their creations smell. It’s very straightforward and takes minimal effort to learn. “Notes” in perfumer language describes scents that can be sensed upon the application of a fragrance, and there are three: Top, middle and base (sometimes referred to as head, heart, and base). The top note is sensed immediately upon application of the fragrance. The middle note is sensed a bit later. And the base note is what carries it through the day. The reason for all of this is that scent evaporates over time. So, it’s very important for the perfumer, and us by extension, to pay attention to not just how it smells under your nose, but also how it will smell an hour after use. (Interesting stuff!) This is especially true since most colognes will try to draw you in with their top note since they know that is how you will immediately judge the cologne. Don’t be fooled any longer. No more one-night stands! Make sure that you have a more meaningful relationship established with the cologne before you shell out the big bucks. You will be spending a lot of time with it in the future, so put in the proper diligence up front. Seriously, though, an hour or two of testing is fine. The top note has the strongest smell and will evaporate completely within as little as five minutes after application. It’ll very rarely last past 30 minutes, since the top note is always made out of molecules that evaporate super quickly. The middle notes are much more mellow than the top notes and they will start to be noticeable anywhere from 20 minutes to an hour after application and can last up to an hour. The base notes have a much more subtle-but-rich smell and will emerge anywhere from 30 minutes to 2 hours after application and can last for more than a day in some instances. Why are there three different notes you ask? The answer is very technical and boring and has to do with certain notes masking the bad initial smell of other notes until the pleasant part can emerge. But for our purposes it’s just important to note that all three notes exist, matter, and the middle and base notes matter the most since those are the fragrances that will carry you throughout the day. Lastly, considering that each cologne is made with these three notes, it’s important also to assess how well each note combines with the other notes. One unsavory note in the middle note can ruin a great top note, and vice versa. Now that you understand the different notes and their functions, you will have an easy time understanding the different male fragrance “families.” Although there are tons of “families” of fragrances, there are truly 4 main families that speak to how the fragrance smells (let’s call this the “4 families of how”), and 4 main families that speak to how long the scent lasts (let’s call these the “4 families of longevity”). Now that you have read rule #2 you understand why getting to know both types of families is important. i. Fresh: Like the word sounds, think fresh grass, oceanic, citrusy, and fruity notes. You will find these notes in both male and female fragrances. This category is also “fresh” in the sense that the other three families were around before this family, and therefore called the “classic” families, and the fresh family evolved due to fairly recent innovations in perfumery. iii. Floral: almost all feminine fragrances are floral, and include one or more flower groupings. There happens to be a couple male fragrances that we like that have some floral notes, but for the most part our advice would be to stay away from floral scents. iv. Oriental: This is the most gender neutral of all the different families. 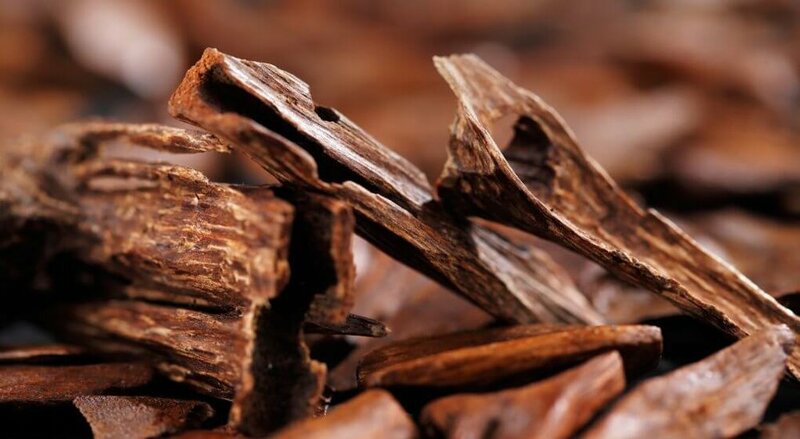 Oriental includes notes like vanilla bean or frankincense, each one unassociated with a specific gender. It is very important to note here that there are truly many, many more families that we can include here, since each one of these families have sub-families, internal gradations and combinations and so on. Many cologne connoisseurs would feel it necessary to spend time talking about the famous “fragrance wheel” created in 1949. But frankly, it’s not important for you to become the world’s connoisseur in fragrances, nor do we think it’s practical or sensible for you to become an absolute expert. Our goal is for you to know enough so that you can make intelligent, well guided choices with your fragrances, and end up with something that you care about and love. Believe us, if you know the contents of this article you will know more about fragrance than 99% of the world’s population. i. Eau de Cologne: It is called eau de “Cologne” with an uppercase “C” because the original eau de Cologne was created in Cologne, Germany in 1709 (assist by Wikipedia, of course). In fact, authentic “Cologne” even nowadays must come from Cologne, Germany. (Similar to Bourbon coming from Bourbon, Kentucky, or Champagne from...OK, you get the point.) Like many things, Americans have now democratized the word “cologne” (though typically with a lower case "c") to refer to all-male fragrance. The trouble is that this formulation is the shortest-lasting fragrance and evaporates after just 2 hours since it has less than 5% of essential oils. Look how they’ve treated us male folks! We need to smell great the whole day, not just for a few hours! Our advice: if you care about the way you smell, then don’t buy anything in this family. 2 hours just doesn’t do the job (unless you follow Mr. Ford’s advice and constantly reapply). ii. Eau de toilette: Most people mistakenly believe that this name came about as a weird reference to toilet water. In fact, that’s even how old trusty Wikipedia explains it. But this is wrong. The name came about in reference to the 18th century French “toilette” – the elite Frenchmen and Frenchwomen's traditional getup. This fragrance is made with a higher concentration of essential oils and it therefore lasts a couple hours longer than Cologne. It’s still not super long-lasting, but its minimum 3-5 hours of life carries you through at least half the day. iii. Eau de parfum: This is also typically called “perfume,” which we associate with women. But again, this name really has nothing to do with male or female gender. It purely defines the amount of essential oil inside, and by extension how long it takes for the fragrance to evaporate. Here the typical percentage of essential oils is around 15% and it therefore lasts for around 7-8 hours. This is really the sweet spot for a fragrance. 8 hours is really all you need to carry you through the day, and if you are going back out at night you can always reapply, as necessary. iv. Parfum: Not to be mistaken with “perfume”, which is covered in #3 above, “parfum” is the strongest and longest-lasting fragrance. Parfum typically has 25% or more essential oils, and lasts for 24 hours or more. Basically, this is fragrance gold. Given all you just learned, can you guess why some fragrance's cost more than others??? The number one reason why some fragrance's cost more than others is due to how long it will last (i.e., the amount of essential oils it has). A parfum will be very, very expensive as compared to an eau de toilette. And that makes perfect sense! Now, truth be told, like with everything, you have to be careful not to buy an overpriced cologne just because of the brand name. And there definitely are many that are guilty of this. But, for the most part, a more expensive cologne is priced higher for very sensible reasons. It’s no different than using a better fabric in a shirt or suit. The last critical thing you must know about cologne, is how to apply it. First, don’t ever cake yourself in cologne. Apply a moderate and reasonable amount. We won’t tell you an exact number of sprays to use, since each bottle applicator releases a different amount of each spray, just be reasonable with your spritzing. Second, when you spray, hold it a couple inches away from your skin. Third, for the most long-lasting and comprehensive effect, apply it only to places that have dry skin and are warm blooded. (There’s some disagreement as to whether or not to spray cologne on your clothing; the argument against is that it will stain your clothing + the cologne was made with the intention of mixing with your skin. And the argument for is: who the hell cares, if it smells good then make your clothes smell great as well). As you likely know, the common areas are your neck and wrist. But applying to your chest and shoulder can also be very effective. In fact, I’d caution against applying it to your wrist since if you are a watch wearer or work at a desk then you will constantly be rubbing your wrist against stuff. So better to stick to the chest, shoulders, and neck. Either way, pick a couple spots and spray them all with a moderate amount of cologne, or pick one or two spots and a spray a bit more. Lastly, and this deserves its own paragraph because it is so damn important, DO NOT RUB THE COLOGNE into your skin!!!!!!!!!! This completely ruins everything we talked about above that makes the cologne great. It will hasten the evaporation of the top note, and it will ruin the sensitive mixture of compounds that contribute to the fragrance’s uniqueness. Just spray it on and leave it alone, letting it absorb itself into your skin. If you see someone rubbing it in, please correct them. They should just as well throw the cologne in the garbage. Alright, I think we have given you more than enough information to start your cologne journey. Good luck gents and we look forward to a better smelling you! Nov 27 Gentleman’s Box Review 4.0 (for November): Do We Have A Winner?